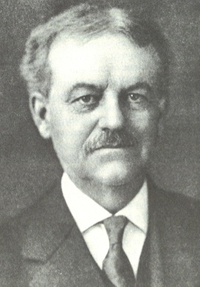 Arthur Boothby Morrill was born on April 16, 1853, in Portland, Maine. An accomplished student, he was admitted to Yale College in 1869. After graduation, Morrill returned to Maine where he took several teaching positions. While Morrill was in Maine, a few of his Yale classmates were working with the Connecticut State Board of Education, and in 1885 they convinced Morrill to teach Science at the New Britain Normal School. Morrill was a popular professor. He authored two textbooks and traveled around the state lecturing to teachers. Morrill then became principal, the time period’s equivalent of university president, of Connecticut’s second normal school in Willimantic. Morrill would stay for Willimantic’s first four years. Morill then returned to his old stomping grounds in New Haven, where the newest Normal School was to be opened. Morill was the principal for 32 years and laid the groundwork for future adminstrators. When the state limited the number of years a person could be a public employee to forty, Morrill had no choice but to retire. On September 1, 1924 Morrill became principal emeritus and Yale University awarded him an honorary Master of Arts degree in June 1925. Morrill passed away nine months later, on March 16, 1926 at 72. Southern Connecticut State College dedicated Morill Hall to his memory in 1960. Finis E. Engleman, the Normal School’s third principal. The first day of school in September 1935 arrived, with no Principal. The replacement for Lester K. Ade, the school’s third principal, was driving east towards Connecticut from Missouri. More than two weeks of school passed before the normal school met Finis Ewing Engleman. Bright and young at heart, Engleman had been a Missouri-born elementary school principal. A few years earlier, Engleman wrote to the administration at Yale for admission, was accepted and awarded a fellowship for tuition. However, with two young children and a dwindling bank account, the plan of moving to Connecticut stalled. According to Engleman’s autobiography, a friend of a friend, Mr. Volker, a wealthy furniture manufacturer and well known philanthropist handed Engleman a $1000 check for his first year of study at Yale. After a long day at work, Engleman would ferociously study French and German, which were required by Yale. Engleman wanted to pass his language examinations before his studies began. Passing his French exam two days before they were set to leave, the Englemans headed to Yale. Then began a road trip in the family A-Model Ford, with stops in D.C., Gettysburg, Philadelphia and New York City. The trip was educational for the whole family and sparked Mr. and Mrs. Engleman’s taste for travel. After becoming heavily involved with his studies at Yale, Engleman chose to finish up his second and final year of the program. Upon receiving his doctorate, Engleman returned to his old job in Kansas City. One afternoon the following fall, he was telephoned by a reporter from the Kansas City Star, who wanted to know if he was taking the job in Connecticut. Engleman, who was still at work, had not yet received the telegram notifying him that he had been selected to be principal of Connecticut’s Normal School in New Haven. By the following Friday, the Englemans were again headed to New Haven, this time in a secondhand Dodge. Upon arrival in New Haven, Engleman was greeted by a small faculty and one secretary. When Engleman arrived, all 350 students were female, quite a change from the co-ed teacher training schools of the Midwest. Engleman was determined to bring male students to the school. Engleman’s years at the Normal School were tough due to the tight state budget, but he kept student and faculty school spirit and unity high. Proud of his Midwestern roots, Engleman was warm, charming and good looking. Although he was forty when he started in New Haven, Engleman had the spirit of a younger man; he would willingly stand in for shortstop when baseball games started behind the school. 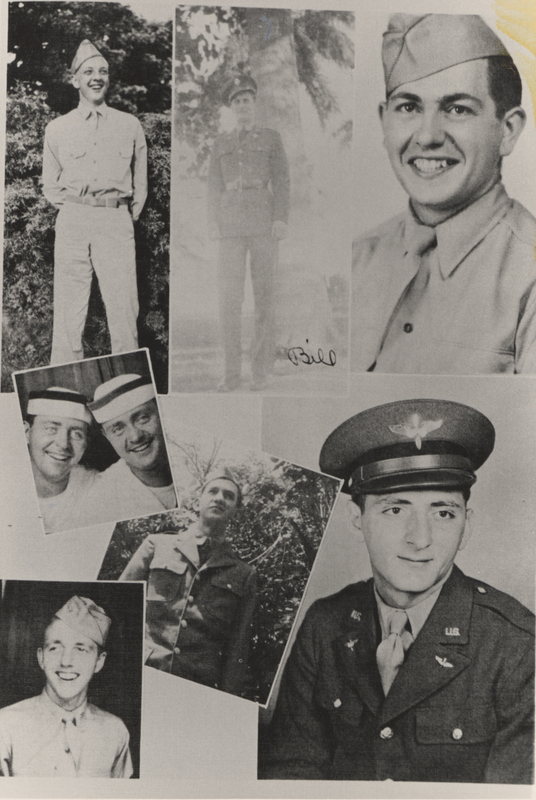 A yearbook page from 1943 depicting student servicemen. On a quiet Sunday afternoon in 1941, the news of the attack on Pearl Harbor shook the nation. Engleman scheduled an assembly to coincide with President Franklin Roosevelt’s radio broadcast, in which Roosevelt asked for a declaration of war. Changes came quickly to NHSTC; Irma Pelz insisted on injecting military marching into the physical education curriculum and Pauline Schwartz organized a first aid course. The small group of male students, enrolled by Engleman, began to prepare for service; even some faculty members began to enlist. In 1942 the college introduced an accelerated program to allow students to join the defense effort a year sooner. This ended in January 1945, although fighting was still rampant in Europe and the Pacific. Engleman was called to duty as a lieutenant commander; he accepted and the state board gave him a leave of absence. In his place, former Stratford superintendent E. Ward Ireland was selected as acting president. 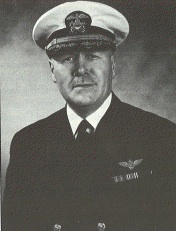 At the age of forty-seven, Engleman was off to Officers Indoctrination School at Quonset Point, Rhode Island. The college prepared for its fiftieth anniversary without him. Shortly before Hiroshima and Nagasaki, Engleman, who was then stationed in Florida, received a telegram from the state board of education in Connecticut offering him a newly created job- deputy commissioner and acting commissioner of education for the state. During his decade of leadership, 1935-45, the normal school went through many changes, transforming from a two year Normal School to the four year New Haven State Teachers College.